It's time to pay long overdue attention to women who are pursuing technology careers. Non-profit organizations such as Girls Who Code and TechWomen are steadily making strides to support women with STEM talents and interests. One would think that we're well on our way to seeing more women at the helm of tech start-ups or in Silicon Valley. However, as much as we'd like to draw these conclusions, as a society, we may not be that progressive -- yet. Young girls who like to program and code as much as they like to play with dolls are pushing their way into computer and science labs, but they may not be receiving the same support or opportunities as their male counterparts. Why not? 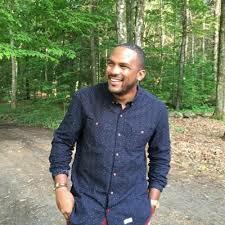 Everette Taylor, founder of MilliSense is a Silicon Valley insider and graduate of Virginia Tech. He's a visionary businessman with a passion for marketing and social outreach. Everette has worked for tech companies StickerMule and Qualaroo in various marketing leadership positions and has he has become embedded in the tech sector. He's personally witnessed the racial and gender diversity problems in the industry, especially in Silicon Valley. He often speaks about the alarming cultural and gender trends in the technology industry including the under-representation of African Americans and women. Taylor contends that women shy away from entering the tech industry because it's a social problem. The technology industry is notoriously known for being a "boys club". However, according to Taylor, we're not attacking the root of the problem when we accept this notion. He believes that the root of the problem is that society doesn't sufficiently encourage girls to pursue careers in technology, science and engineering. Instead, society encourages women to pursue a different path than men early in their lives by dictating which professions men and women should have as early as preschool. Just as easily as Taylor is able to identify the issues surrounding the intermingling of women in the tech industry he is also able to point out some resolutions? Taylor believes that companies need to genuinely care about the issue of race and gender diversity. Taylor also suggests that learning institutions and organizations should support programs like Black Girls Code and CODE2040 which are giving women of color the opportunity and support to pursue their science, tech and math interests. He also believes big tech companies should also make it a mission to engage girls at an early age by developing their own in-house diversity intiatives and/or outreach programs. And school systems should make an effort to become gender unbiased with their social studies and social development programs for young children. The bottom line is that it's not the women, it's the industry. In order for the tech industry to become more racial and gender inclusive we need more people like Everette Taylor championing change from inside Silicon Valley and the tech industry. We need people that are committed to creating solutions that will make the tech industry stronger and more importantly inclusive.